A lot can change in a generation. Just three decades ago, getting hitched involved adherence to stricter rules. A white dress, a church, a fruit cake, a bouquet toss. 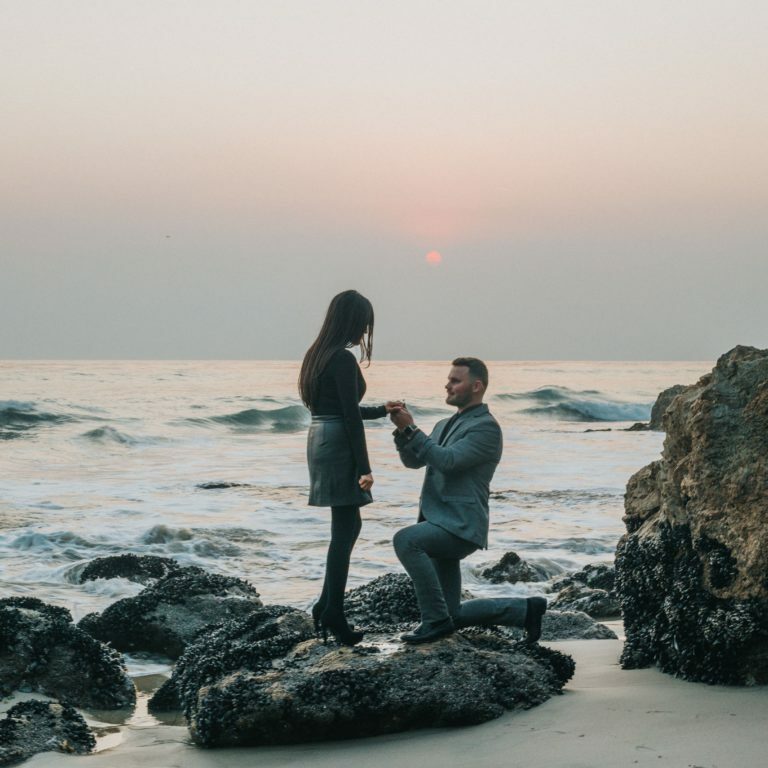 Now, a bride is just as likely to wear a coloured frock, exchange vows at the beach, cut a mud cake she’s made herself and forgo the tossing of flowers. This is the way millennials – or ‘Gen Y’, young people born between 1980 and 1994 – do weddings. And these are some of the most notable shifts. It’s almost impossible to imagine a millennial wedding designed without Instagram in mind. Hashtags, #weddinginspo and photo booths are to millennials what monograms, paper invitations and disposable cameras were to generations past. In just eight years, Instagram has revolutionised the way couples plan their nuptials and share the details of their special day. Ideas for gowns, venues, décor, shoes and hairstyles are virtually limitless. And, of course, Instagram makes it easy for millennials to share photos from the big day in real time. It’s common for millennial couples to think beyond a local hall or reception centre for their wedding venue. With international airfares cheaper than ever, destination weddings are a popular option for couples who love to travel and want to spend more time with their guests. They’re also the perfect compromise for couples who come from different cities – or countries – and seek neutral ground. Bali, Thailand, Hawaii and Fiji are enormously popular, and the best bit is there’s no need to travel any further to the honeymoon. Owing to the sustainability movement and an increasing awareness of where clothing and jewellery come from, millennials are more likely to choose Fairtrade gold and ethically sourced diamonds than previous generations. At Larsen Jewellery, our diamonds are conflict free and we’re now a licenced producer of Fairtrade certified gold wedding rings, which are handcrafted using Fairtrade gold mined by artisanal and small-scale mining organisations. With three-quarters of couples now living together before marriage, compared to 16 per cent in 1975, most millennials don’t need gifts for the home. So they usually ask for gifts that can’t be wrapped – contributions to the honeymoon, a house deposit or just plain cash. Indeed, some estimates suggest 80 per cent of couples ask for money as a wedding gift. To add an element of tangibility to the gift-giving process, many couples set up a wishing well for guests to deposit their envelopes. With the entire internet to choose from, millennials aren’t constrained by the cookie-cutter options in a couple of catalogues when it comes to choosing everything from table decorations and bonbonniere to hairstyles and bouquets. Because of this, weddings have become much more personalised, with couples keen to put unique touches on every element of their big day. Think mismatched bridesmaids dresses, signature cocktails, travel-inspired table numbers and polaroid place cards. According to the 2016 Census, ‘no religion’ is now the most common religion in Australia. A growing number of millennials are swapping Saturday services for civil ceremonies everywhere from parks and beaches to warehouses, barns and wineries. In years gone by weddings usually took place in two separate locations – a ceremony and a reception – but without the pull of religion, many couples prefer to roll everything into one event to streamline the celebrations. Millennial weddings are often a lot smaller than the big baby boomer celebrations of old. Reducing costs has obvious appeal – especially given most millennials cover some or all of the costs of their wedding – but for many couples, smaller means more personalised. Smaller guest lists are more easily accommodated in intimate spaces like chic downtown restaurants, old barns and quaint farmhouses. And in the age of frantic schedules and digital overwhelm, it’s easier for couples to mentally soak in a smaller celebration and chat to all their guests. There’s more to the modern groom’s role than buying the ring, popping the question and organising the suits and cars. It’s 2018 and guys are playing a much bigger role in wedding planning than ever before. From choosing the venue to designing invitations and organising seating arrangements, millennial grooms and brides are much more likely to share the planning of their big day than previous generations. How will your wedding be different to your parents’ nuptials?